John Mayer at The Reed Space in New York City promoting his new album, Born and Raised. David Smith of Torquay, England, a super-talented signwriter who combines traditional craftsmanship with digital technology, designed the cover artwork. You might say David Adrian Smith is old-fashioned. 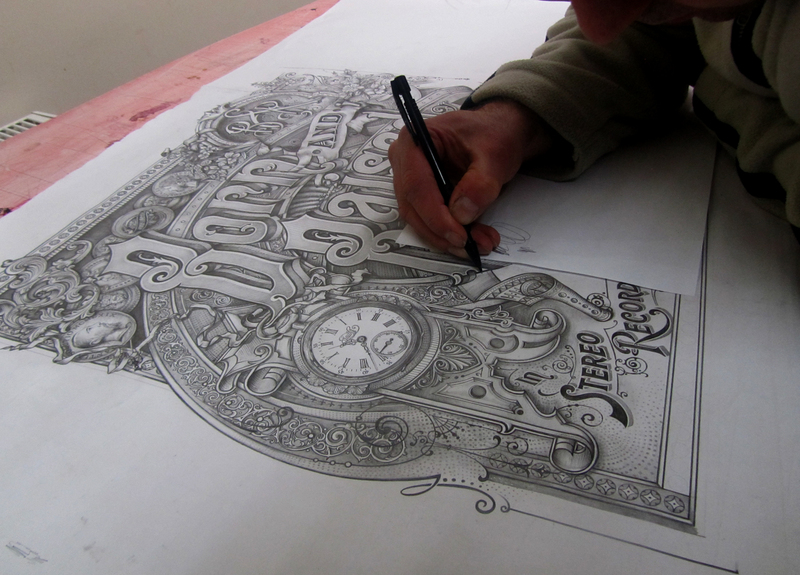 After all, he’s a hand craftsman, fine artist and old-time signwriter who plies his gilded trade in south England – the seaside burg of Torquay, to be exact. 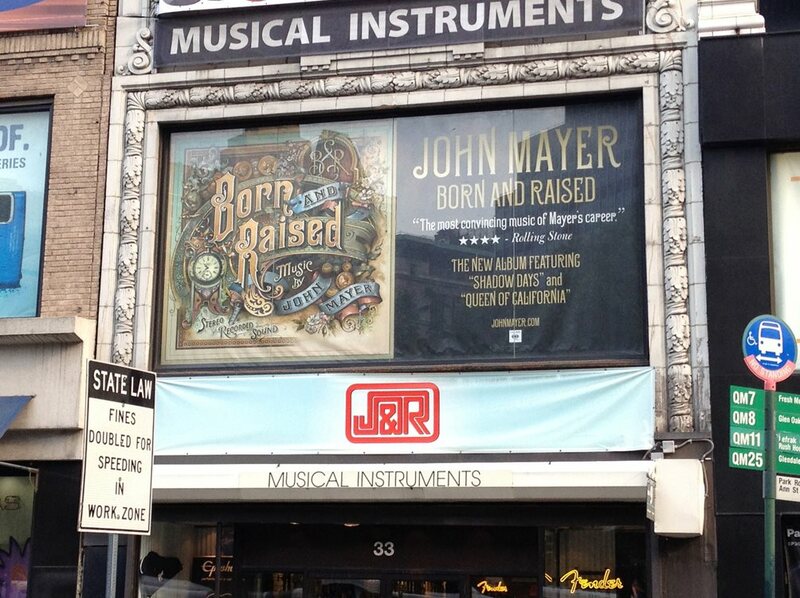 Here's the Born and Raised cover art in the hand-sketched stage. All those descriptions of Mr. Smith are true, but while the mainstay of his work is of the Old English pub variety – gilded windows and mirrors glue-chipped and painted to perfection with inlays of Mother of Pearl and whatnot – he’s also an aficionado of all things digital. And, lest you envision an aged man bent over a workbench, Smith is youthful 43 whose talent was a perfect match for his interest in the sign arts when he began his signwriting career some 20-odd years ago. Having collaborated with Mr. Smith on various articles for Sign Business magazine (now known as Sign & Digital Graphics magazine), I can vouch for the Renaissance, traditional-to-digital nature of his work, not to mention that he’s one of the finest chaps I’ve met in our industry. David Smith's final artwork, from a hand-drawn sketch that was scanned in and finished digitally. 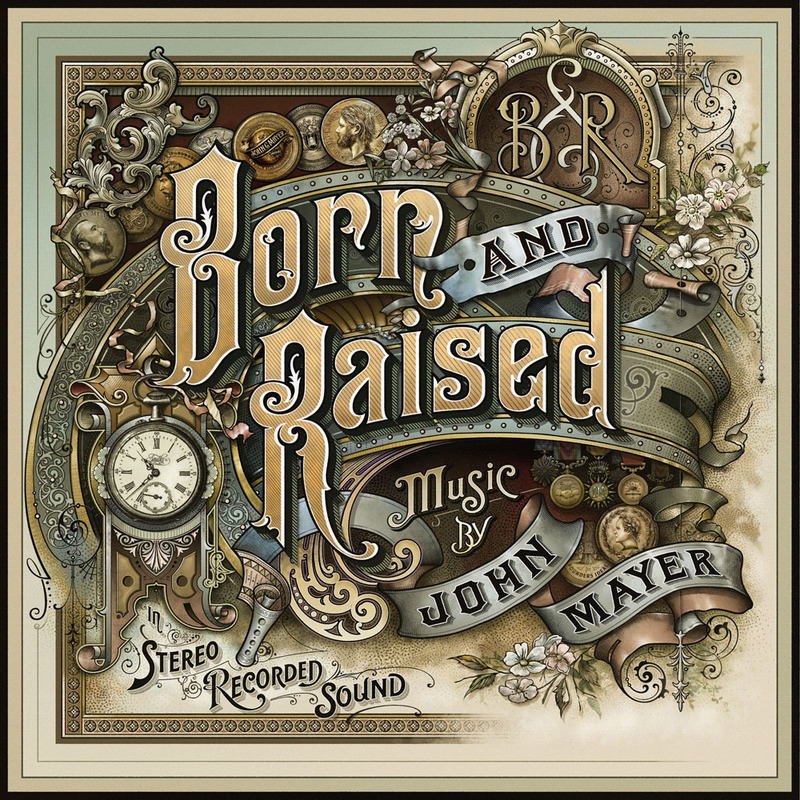 Case in point is the work Smith recently completed for John Mayer’s latest album, Born and Raised, the production of which combines Smith’s Old World sensibilities with all the New World gizmos. 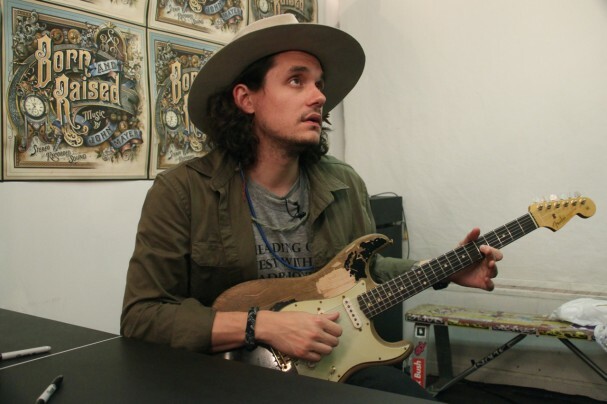 Mayer, who heard about Smith through the art world grapevine, felt that Smith’s style was a perfect match for the ambience of Born and Raised. 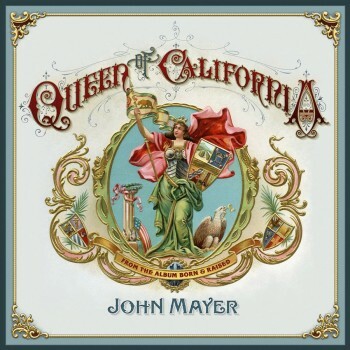 David Smith also designed the artwork for John Mayer's single, Queen of California. 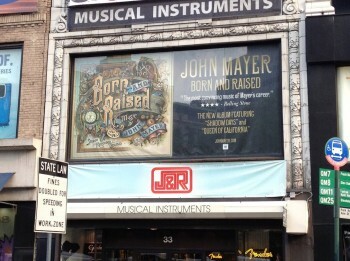 David Smith's artwork for Born and Raised writ large in New York City. Amazing indeed, and the album cover was only the beginning, really. 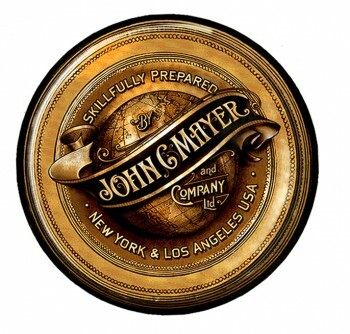 Here you see some of the related work Smith has done for various collateral materials and a single off the album, Queen of California. The problem with the digital aspect, however, is the potential for the loss of vital information. The globe design shown here with all of its multiple layers and hours of hard work, for instance, was lost in the virtual world. “By mistake in Photoshop I overwrote the existing file. This jpeg file is all I bloody well have,” sighs Smith. 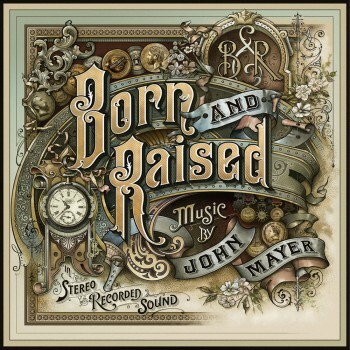 David Smith designed a variety of promotional artwork for John Mayer's Born and Raised. 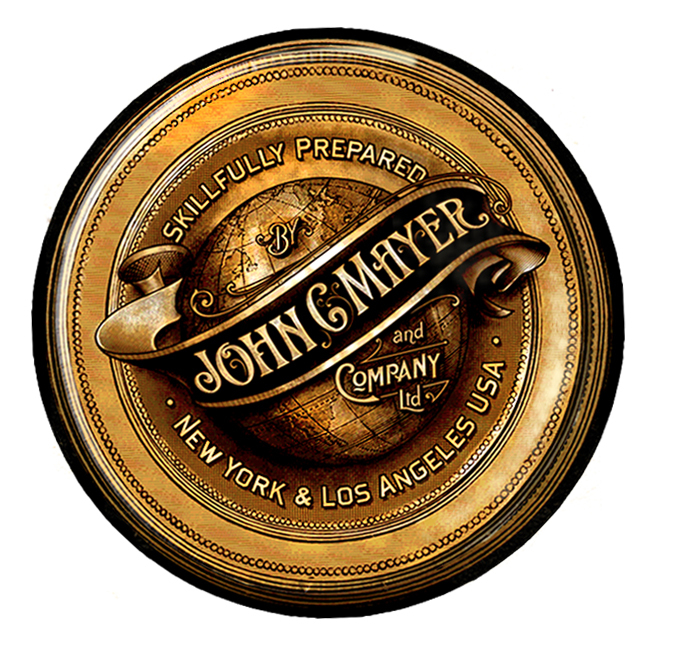 Fortunately, everything else has been preserved, printed and sent through the various portals of cyberspace – from Facebook to iTunes – preserving, perhaps forever, Smith’s exquisite design work.